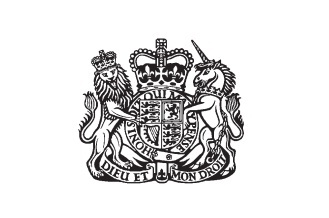 The Defamation Act 2013 strengthens existing legislation, balancing freedom of speech while at the same time ensuring that individuals or organisations that have been defamed are able to protect their reputation. Public relations practitioners and online publishers should welcome the new legislation. It provides greater clarity on defamation and libel, particularly online, for anyone working in the media or public relations. The Act aims to strengthen cases for a successful claim but eliminates trivial claims that waste the time of the courts. Cases will be tried without a jury unless a court orders otherwise. The new law came into effect on 1 January in England and Wales. Scotland has its own law which the Scottish executive is now considering bringing line with the rest of the UK, according to the BBC. The Act includes a requirement for claimants to show that they have suffered, or are likely to suffer, serious harm by a defamatory or libellous statement. This will limit the threat of trivial cases but is unlikely to result in any significant change in cases brought before the courts as financial loss is the most typical claim. However it may limit claims, for example If an online article has little traffic it will be hard to make a case for a significant damages claim. Publishers of web content will no longer be held responsible for comments published on a site by a third party providing that they provide a mechanism for complaints to either be resolved with the author or removed. Section 5 of the Act provides very clear guidance on this issue (see link below). Complaints should be dealt with within 48 hours. Publishers should require users to register prior to leaving a comment so that they can be contacted in the event of a compliant. Terms and conditions should be updated to reflect new policies for complainants and users. Material protected from defamation has been extended to include peer-review statements in academic and scientific journals, reports from academic and scientific conferences, articles based on information provided by public companies, and reports from conferences, courts or government proceedings anywhere in the world. Claimants will need to prove that England or Wales is the most appropriate jurisdiction for a case to be brought. This will bring an end to libel-tourism whereby complainants bring a case because the legislative framework and damages in England and Wales are likely to be more favourable than another jurisdiction. Any claim against a publisher is limited to a new so-called single publication rule, subject to a one-year time limit. Previous defamation claims had sought damages for every time an article online was viewed or downloaded. Cases will be referred to mediation to a new Independent Regulatory Board to provide arbitration services in the first instance. The courts will take into account when awarding damages and costs in a case whether either party in a dispute had elected not to use arbitration.